The Centre for the Social History of Health and Healthcare (CSHHH) at the University of Strathclyde, the Musto Center for Drug Policy Studies (MCDPS) and the Center for the History of Development (CHD) at Shanghai University invite applications for the above twelve-month Fellowships. They are aimed at candidates who will be in their fourth year of doctoral study or in the first two years of their postdoctoral career in the academic year 2017/8. 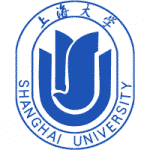 Successful applicants will spend a year working at Shanghai University in the collaboration that has grown since 2012 between the two institutions in order to conduct personal research; to produce publications and postdoctoral funding applications; and to contribute to teaching in English for undergraduates and postgraduates. Up to four Fellowships are available. An award is intended to provide successful candidates with a twelve month period in China starting in September 2017. During this time the expectation is that Fellows will; provide teaching in English (no more than five hours a week); complete their thesis where not already submitted, or prepare it for publication if doctorate awarded; secure a book contract for their first monograph; complete at least one journal article; map out a postdoctoral project and prepare a funding application to secure resources for it. Applications are welcome from those working on any aspect of the Medical Humanities, including, although not limited to, History, Literary Studies, Ethics and Philosophy, Law, Translation Studies, etc. There is no expectation that research will be focused on China or Asia, and no preference for any particular period or place. 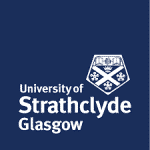 Successful candidates should acknowledge the CSHHH Glasgow at the University of Strathclyde, Shanghai University and the Wellcome Trust in all publications and academic activities which result from an award.